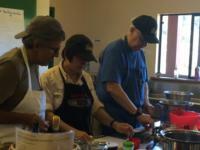 UC Master Food Preservers are dedicated volunteers who are trained to assist the UC Cooperative Extension staff provide up-to-date, research based food safety and preservation information to the public. 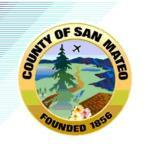 Residents of San Mateo or San Francisco counties who have an interest in teaching others about food preservation and food safety can apply to become a Master Food Preserver. 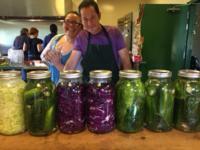 Prior experience in food preservation is helpful but not required. We seek people with a strong volunteer ethic and a desire to make a long-term commitment to the program. Initial training consists of approximately 50 hours of instruction. Upon completing all sessions and passing a written exam, volunteers will be certified as agents of the University of California to provide instruction in food safety and preservation. There is a $300 fee for this training to cover the cost of books, training materials, and supplies. What are the benefits of becoming a certified MFP volunteer? An ongoing opportunity to contribute to your community. Every year Master Food Preservers contribute several thousand hours of volunteer service helping keep our community safe and healthy. Opportunities to work cooperatively with a great group of food enthusiasts. 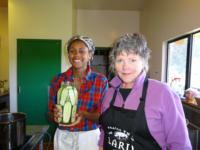 Gain current, research based knowledge about preserving fresh food. Staff information booths and present food preservation demonstrations at the county fair and other local events. Please join our mailing list (below) to receive announcements about future classes, volunteer opportunities and any upcoming training opportunities.